For the past few years that Nikon has introduced new DSLR cameras more often than not the 3XXX and the 5XXX are the newest of the entry level models. The camera in the 3XXX range is typically the bare bones entry level while the 5XXX is for a medium level consumer and maybe the lower rung on the prosumer side. Make no bones about it though any Nikon DSLR camera is a great start. We’ve shot on Nikon exclusively since the advent of DSLR. 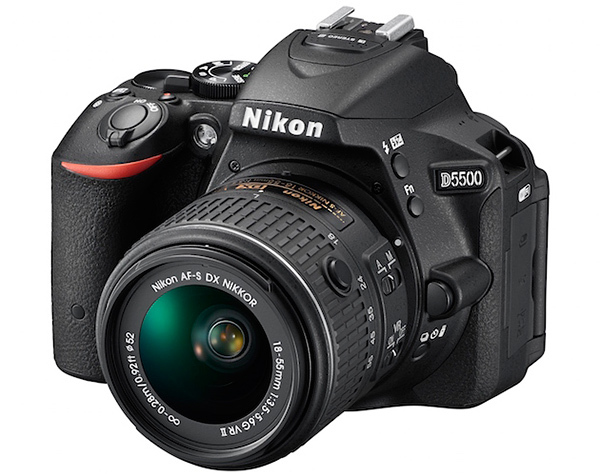 Nikon introduced the newest in the consumer friendly line up, the D5500, to the press on Monday at a press conference at the International CES. The camera, which will be available in stores next month for $799, features a 24.2 megapixel CMOS sensor without an optical low pass filter. It also features a 3.2″ LCD screen on the back to help the shooter harness the power of the D5500 including some onboard after photo effects. The D5500 can handle 820 shots per charge with 60% flash usage and 3200 shots with no flash at all. This series of DSLR cameras doesn’t change that much from year to year and this year’s no different. If you’re in the market for a new DSLR definitely don’t let the D5500 pass you by. A Nikon rep told Techfaster that the D5500 would be available in major retailers in several kit models, as typical with it’s predecessors.